TOTAL (50%), Providence Resources (40%), SOSINA (10%). 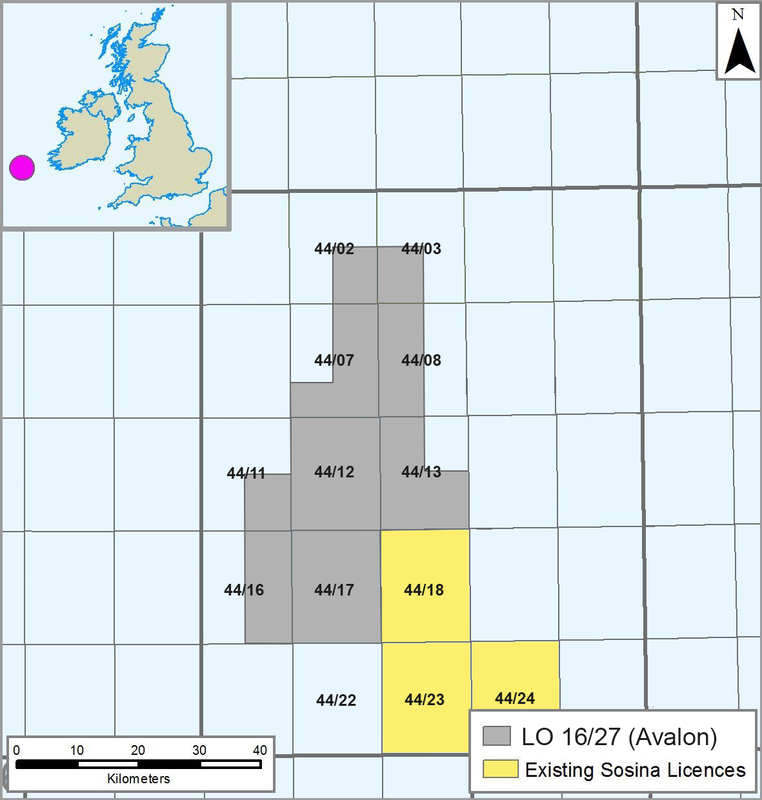 Licensing Option 16/27 covers a c. 1,324 km2 area in the Porcupine Basin, offshore Ireland. The area is located c. 150 km off the west coast of Ireland and is situated in c. 1,300-metre water depth. It lies directly adjacent to and north of Frontier Exploration Licence (‘FEL') 3/04, which contains the Lower Cretaceous Dunquin North residual oil column. During regional interpretation and mapping of vintage 2D seismic reflection data, an areally extensive (c. 550 km2) north-south orientated Paleocene basin-floor channel and fan system ("Avalon") has been identified within the axial part of the Porcupine Basin. The Avalon system, which is located c. 2,500 metres BML, is interpreted to be sourced from the north of the basin and shales out in a southerly distal direction. A structural flexure down to the north negates the requirement for sandstone pinch out in the proximal direction, greatly improving reservoir sealing potential. 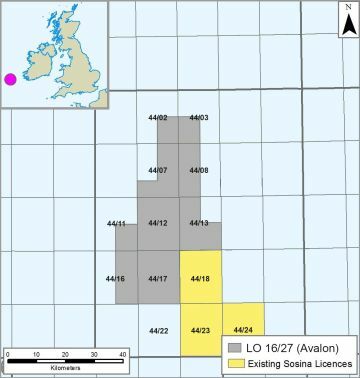 Avalon lies adjacent to the Dunquin North residual oil accumulation. The LO contains the Paleocene "Avalon" channel and fan system and existing 2D seismic data indicates potential for a depth-conformant AVO anomaly. The presence of a thick sandstone interval is indicated by compactional drape morphologies, which are imaged within parts of the system. The pre-existing Mesozoic structural grain appears to have exerted some control on deposition as evidenced by thickening of the system within pre-existing structural lows. Whilst limited seismic reflection gather data were available during the evaluation phase, the available data suggest the potential for a depth-conformant amplitude versus offset (‘AVO') anomaly similar to the nearby Druid prospect in FEL 2/14.